Found 32 tours matching "kimono"
1. A historical theme park built to recreate the culture and townscapes of Japan during the Edo Period (1603-1868). Here, visitors can step back in time and experience a slice of history. 2. Enjoy watching an action-packed ninja show, a captivating oiran dance, and a variety of traditional activities such as archery, shuriken (ninja star) throwing, and shooting darts with a blowgun here at this vast northern land. Fully enjoy the atmosphere of the Edo period. 3. On this flexible plan you can enjoy 1-time admission at any time you want within 5 days of the selected use date. This tour is quite convenient as there is no need to go through any hassle such as buying a ticket at the ticket gate of a popular facility. 1. Take a cruise along Tokyo Bay on a large, vividly colored Japanese-style ship. Enjoy looking at iconic Tokyo landmarks including Tokyo Tower, Rainbow Bridge, Odaiba and Tokyo Gate Bridge. 2. 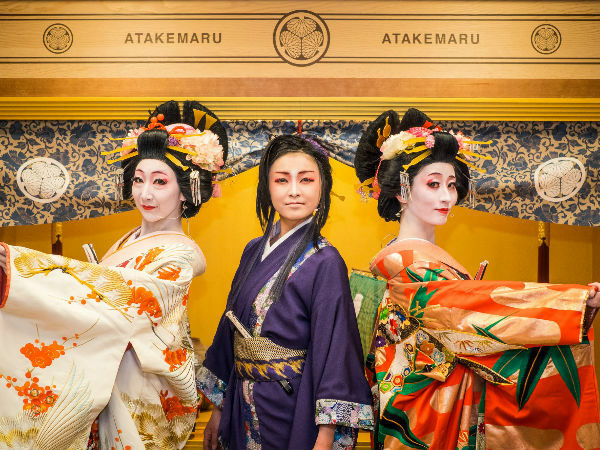 Aboard the ship, watch gorgeous dancers and amazing performers, some of whom hail from Japan's top-class Shiki Theatre Company, in a live entertainment show featuring song and dance numbers! Participants may also have their picture taken with the performers. 1. Dress up in a kimono and walk freely around the beautiful, historic former samurai district of Kakunodate, known as the "Little Kyoto of Tohoku." 2. 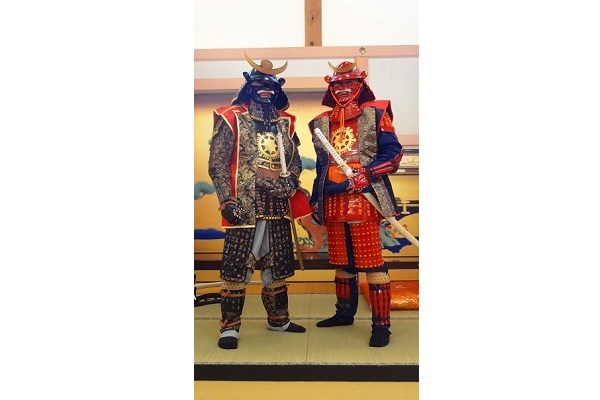 This tour includes a kimono dress-up experience, admission to the Aoyagi Samurai Manor Museum where visitors can step into the world of samurai, and a serving of matcha green tea in a cafe. 1. Wear a kimono and experience Japan's traditional tea ceremony in a 300-year-old samurai residence. 2. The tea ceremony instructor will explain the proper etiquette on how to drink the tea and eat the confectionery, and after the tea preparation by the instructor, customers may also experience preparing the tea themselves. 3. 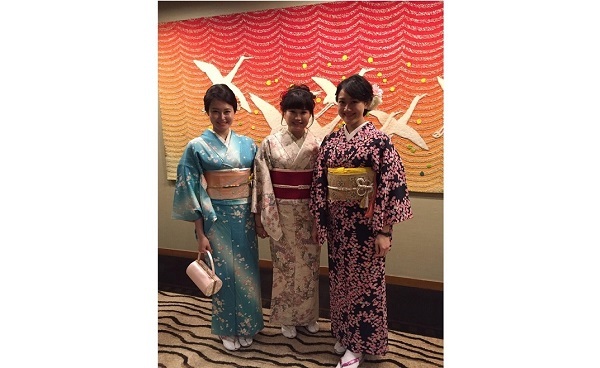 This plan includes a 2-hour rental of kimono that can be worn in as fast as 3 minutes! After the tea ceremony experience, enjoy wearing Japan's traditional garment while walking around nearby or taking pictures inside the salon until it's time to return the kimono. 4. 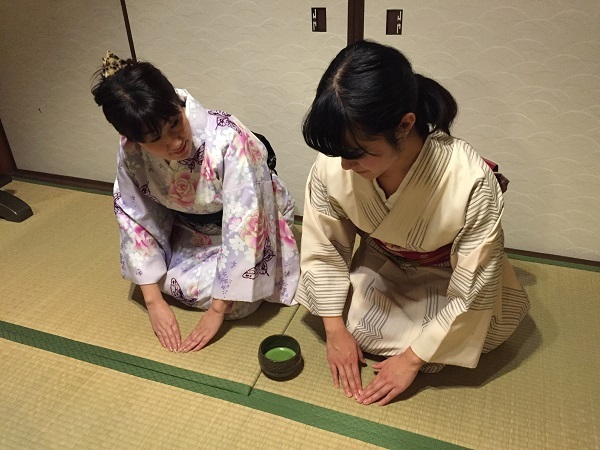 Learn all about the proper etiquette, the ceremony's history and philosophy, and other information as the tea ceremony instructor explains them all in English. 1. There’s no need to bring anything with you. The beauty salon will prepare everything customers need for the kimono experience. Assistance in simple Chinese or English is available. 2. This popular kimono experience plan is available for men and women alike. 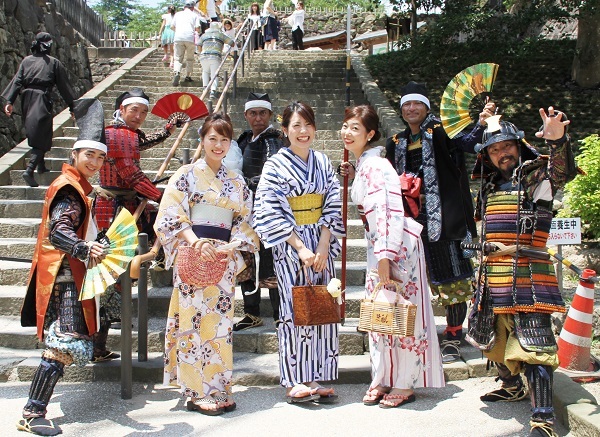 Have fun trying on traditional Japanese garments with friends or family, or as a couple. 3. Popular sightseeing spots such as Nagoya Castle and Tokugawa Garden (both require additional admission charges) are within walking distance. Enjoy taking pictures with your own camera with the castle and garden as the background. 4. This plan is led by a certified professional dresser for weddings. A range of sash arrangements are also available. Recommended for customers who would like to experience wearing an authentic Japanese garment instead of simple costumes. 1. Smart Glasses are wearable devices worn over the head like glasses. On this tour, an attendant will introduce customers to the beauty of Hirosaki Park as they use Smart Glasses to learn about Hirosaki Castle's history, and enjoy virtual 360-degree panoramic views including Hirosaki Park's cherry blossoms, which are known as some of Japan's best. Immerse yourself in the charm of Hirosaki Park in any season, whether with graceful cherry blossoms or gentle snow. May be used in English, Chinese, Korean, Thai and French. 2. Experience dressing up as a feudal lord (armor and helmet) or lady (kimono and robe). Children may dress up as a feudal lord (haori coat and hakama pants) or lady (kimono). After the experience, customers will have their picture taken and given to them in a special frame. 2. Female customers may choose their preferred kimono from over 30 patterns. Male garments are also available, as this plan is not just for females. Men, kids, and the whole family are welcome. 3. Select the preferred start time from 11:00, 13:00 or 15:00.
or other places in Hakata. 1. The castle town of Matsue is the perfect setting to take a stroll while clad in a kimono. Make a bold transformation with a cute kimono and create some wonderful memories! 2. 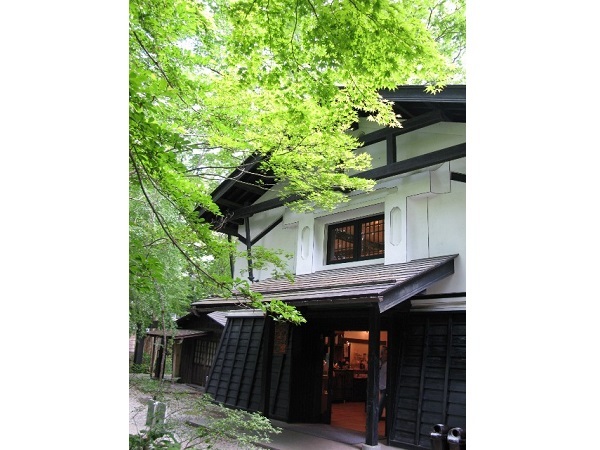 Since the shop is located along the bank of Horikawa close to sightseeing spots like National Treasure Matsue Castle and the boarding point for the Horikawa Pleasure Boat - which are perfect for Japanese clothing - this tour is very convenient for strolling in the castle town of Matsue. 3. With cute kimonos supplied direct from wholesale dealers in Kyoto and veteran dressers that have excellent sense and techniques, customers will be beautifully transformed! 1. Visit a theme park in Kyoto where Japanese movies are filmed! 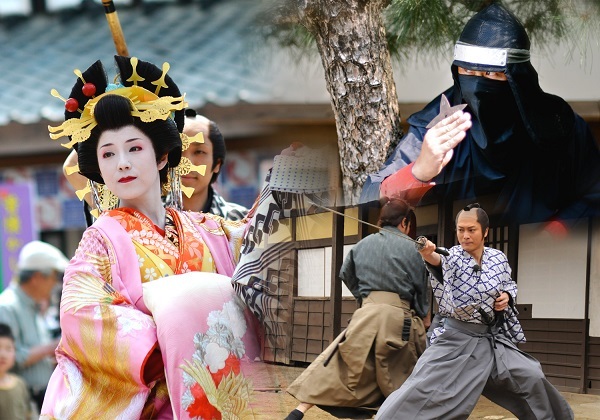 These films, known as 'jidaigeki', or period dramas, are unique to Japan and can be enjoyed by people from all over the world at this theme park. What's more, the normal adult admission price of JPY 2,200 (current as of March 2019) is reduced to JPY 2,000 on this plan! 2. Period dramas are not the only thing to look forward to—the park also features a 'Sasuke' ninja show with 3D mapping and seasonal events!